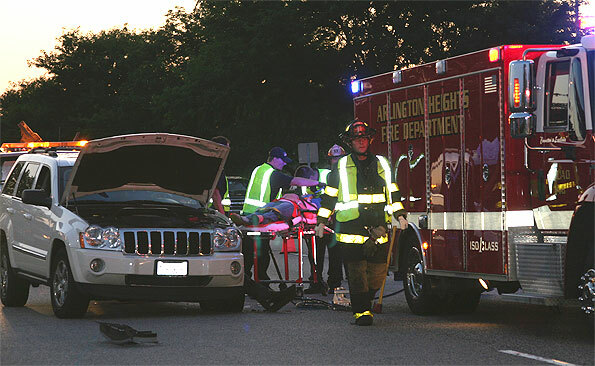 Driver is taken to ambulance from white Jeep Cherokee after a quick extrication operation by Arlington Heights Fire Department firefighter/paramedics. 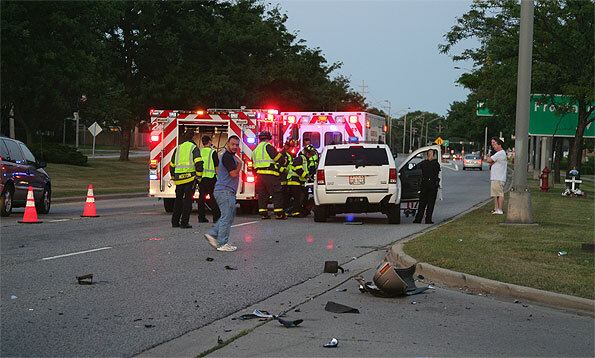 Arlington Heights police received a report about 7:55 p.m. of a hit-and-run accident with a red GMC truck or minivan fleeing eastbound Palatine Road. 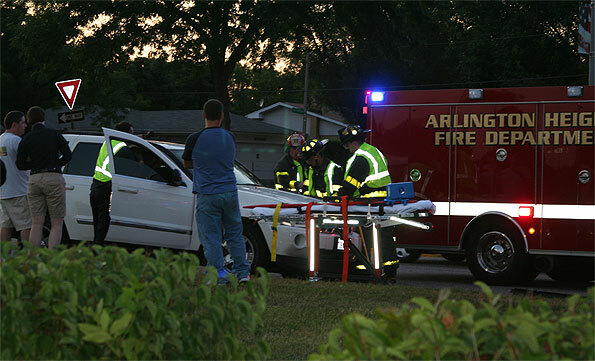 Several witness called 9-1-1 to report a hit-and-run accident in the eastbound lanes of Palatine Road, just east of Rand Road. When the first police officer arrived on the scene, she found the license plate of the offending vehicle in the street. She also became aware that the driver was injured, and called dispatch to request paramedics respond. Firefighter/paramedics remove the driver door from a white Jeep Cherokee involved in a hit-and-run accident personal injury accident. When firefighter/paramedics arrived they performed a quick extrication procedure, removed the driver door, and rescued their patient from the white Jeep Cherokee. Several 9-1-1 callers did not see the accident, but saw the red GMC racing eastbound on Palatine Road, smoking from the engine with front-end damage. One witness, who was northbound on Schoenbeck Road, saw the red GMC pull fast into the parking lot of MacArthur Middle School and Sullivan Elementary School. He did a double-take when he saw smoke pouring from the engine and heavy front end damage, and became aware that he must be seeing a car that just fled a hit-and-run accident. Another witness reported a male/Hispanic fleeing westbound on foot across the soccer fields of Patriot Park. Arlington Heights and Prospect Heights police officers had the suspect in custody by 8:20 p.m. and heading for jail in downtown Arlington Heights. Other police officers secured the red GMC for a tow. 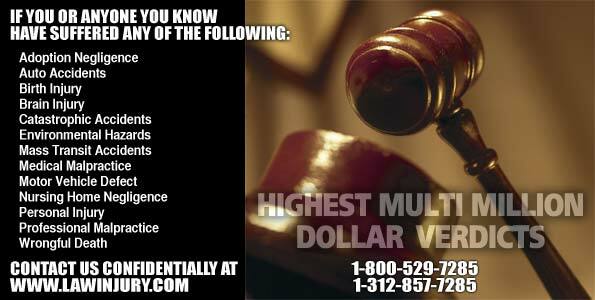 The hit-and-run vehicle traveled about 1.3 mile while fleeing the accident. Accident impact area in the foreground of hit-and-run accident at Palatine Road and a Southpoint Shopping Center driveway. The Cross at the right in picture is a roadside memorial for Jose Antonio Guzman, who was killed in a one-car v. tree accident in May 2009.